108 mobile towers sealed in Noida, WHERE should our mobiles go?? With more than108 mobile towers sealed, resulting in no network in the residence area all the work, chat and sms have come to a halt. Residents are facing very severe problem because of this. Without no network at home there cant be any birthday wishes no new clients, no customer support. Everything coming to a HALT. In a major crackdown on defaulting cellular service providers, the Noida Authority has sealed 108 mobile towers located in the city’s residential areas for an indefinite period. The service providers, according to authority officials, were given prior notice to submit documents required for authorisation of the towers which they did not. According to Sandeep Chandra, senior project engineer (II), Noida Authority, more towers will be sealed tomorrow, there being many others who have not followed the necessary procedure before setting up the towers in residential areas. “Electricity supply to the towers has been cut and the back-up generators have also been sealed. Only 125 cellular service providers had submitted applications requesting an extension a few months ago. These would be spared for the moment,” Chandra added. Officials said the companies had been directed in 2005 to submit documents such as structural stability certificate, No Objection Certificates from Residents’ Welfare Associations where the towers were to be set up, as well as architectural design approval from experts of selected Indian Institutes of Technology. “These companies include Vodafone, Airtel, Tata Indicom, Reliance and others,” Additional CEO, P N Batham, added. I got an ebook of UPTU Watch, a company started by alumini of UPTU and IIT. They have taken initiative to give the students of UPTU an insight of UPTU itself. I was quite impressed with the design and content of the magazine and am giving you a link to it. This magazine from UPTU watch will be available at many campuses. I really hope the students get an idea what the magazine and the initiative is all about. I would really like the GATE column to be a little more elaborate the next time.. That would really help influence the BTech students to go for MTech and not MBA. Micromax is surely one of the most-talked about cell phone (though may not be the most sold), after the company launched a handset that it claims could run without charging for 30 days straight. They now have two models in the same category – X1i and the X1u. Micromax’s mobile lineup also has a new dual SIM phone, Micromax X250. Priced at Rs 3,500, the phone has a colour screen, Bluetooth and FM. The Micromax Q3 is a Blackberry-look-alike. Boasting of almost similar specs, the phone is available at a price tag of only Rs 4,900. In the smart phones category, the company’s models include GC700, which is priced at 14,800. GC700 is a Dual Mode CDMA/GSM touchscreen phone with motion sensing technology. It has a 2MP camera and a touchscreen display, a multi-format music player, video recorder/player, large PHB/SMS memory with photoCall and a preloaded Opera mini Web browser. 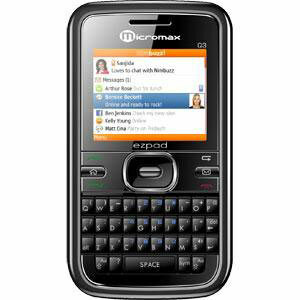 While most of the Qwerty keyboard handsets in the Indian market cost more than Rs 10,000, Micromax has a model with Qwerty keyboard for just Rs 4,500. According to a research firm, of the 24.1 million handset market of India, the 800-crore company secured a 6 per cent share, ahead of LG, which managed just 4 per cent. 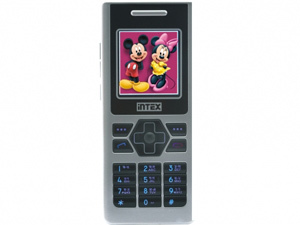 The leading Desi manufacturer of computer peripherals Intex too boasts of an impressive range of mobile phones. Delhi-based Intex has both dual-sim and multimedia phones in its line-up. Most Intex phones are claimed to be lightweight, and boasts of features like water resistance, 45 days standby battery life, touch screen, 5 LED Torch, MSN Messenger Live and mobile tracker for security. The company’s dual sim lineup includes, Intex IN 3080 (GSM-GSM), Intex IN 3070 Intex IN 4488 (GSM-GSM), Intex IN 4455 (GSM- GSM) and Intex IN 5050 (GSM-CDMA). In terms of pricing, Intex’s mobile range is spread across Rs 2000 to Rs 8000. Just nine-months old, Karbonn Mobiles has made an impressive beginning for itself, having sold a sizeable number of handsets. Kabonn currently has over 25 models with specs like touchscreen, dual SIM, and multimedia. The company’s dual-SIM range include Karbonn K 445, which boasts of a browser and a music player. Some other dual SIM phones are K 460, K 443, K 447and K 770. A joint venture between Delhi-based Jaina Group and Bangalore-based UTL Group, the company plans to open 5-10 exclusive Karbonn stores across India’s major states by the end of this financial year. The well-known electronic appliance manufacturer too baosts of a mobile phone line-up in its portfolio. The company’s popular F series range comes with features like Bluetooth (A2DP), camera, FM/MP3/video player, expandable memory up to 2 GB, email and TFT display. Most phones of Onida are dual SIM memory and pricing starts at Rs 1,700. One of the biggest electronics manufacturer in India, Videocon too made its entry in the mobile handset market last year. The company which so far has prsence in southern and western parts of the country plans to go all-India soon. The company’s portfolio includes 12 models priced between Rs 1,400 to Rs 15,000. Videocon’s V 1750 is a dual-SIM touchscreen phone. While V 1760 is a dual-SIM music phone. Videocon’s latest range includes V 1604, a Windows phone. The 3G multimedia phone offers GPRS connectivity, 2 Mp camera, bluetooth, motion sensor, mobile tracker and a music player. V 1604 is priced at Rs 5,500. One of the very first Desi phone brands, Spice Mobile also happens to be the pioneer of dual-SIM phones in India. Spice D 6666, a full multimedia phone, supports both CDMA and GSM cards. Spice D 1111 is a touchscreen phone , Windows 6.0 OS. Spice’s latest is a slider phone S 950, priced at Rs 9000. Spice Mobile phones are available at a starting price of Rs 1,900. Let me inform you some of the methods by which one can utilize internet for his/her benifit. Well it has been seen that more than 70% of traffic on internet does not utilize it, or one can say abour 40 million people just log on and either chat with their friends or surf without anythought. They are not willing to learn anyhting from this massive ocean of KNOWLEDGE “THE INTERNET” . Some of the most common time wasting websites include YAHOO, FACEBOOK, ORKUT, MYSPACE, GoOGLE, and many others where everyone just log on and either chat or check mail and then asta lavista ..
How many of the internet community wants to learn by reading books. Now adays there is a new PHENOMENON called the eBook. Its nothing but a soft copy of any book (generally in PDF or acrobat format) . One can search the search engines to download the ebook of the topic required or one can use the best site for online book sharing called SCRIBD. Ya the SCRIBD its really awesoome initiative taken to spread the knowledge. If you are an engineering student or any student in thirst of knowledge or wanting to learn new things you should really log on to scribd.com and read. There are numerous online encyclopedia the best and most vast these days is WIKIPEDIA. It has great collection of accurate information relating to almost any topic in this universe. One can just go there and search for anything you are requiring. For leisure yet innovation try doing some ulta creative activityies like opening a BLOG or something. Thats much better way of informing what you are thinking rather than just a text on FACEBOOK or TWITTER. If you wana earn, hmm… its tough competition out here. With the making and success of Raj Kumar Hirani’s 3 IDIOTS and corresponding spat between R. K. Hirani and Chetan Bhagat leading a success of FIVE POINT SOMEONE as well.. Ya the book on which 3 idiots were based on. The book 5 point someone is selling like hot cake and so is the ticket of 3 idiots. The shows are jam packed with no seat left for the people who want to buy the ticket just before the show..